 We are Sinlust, an epic black metal band located in Brittany (France) and founded in 2008 by Chris In Lust. After many hours of hard work and dedication to our black art, we released our first album, ‘Snow Black’, in 2011 (self production). It’s a concept album relating a dark fantasy story. This story has been put into writing by our singer, Firefrost, under the pen name Nicolas Skinner. He gave birth to a novel, which was successfully published under the title ‘Noire Neige’ (it means ‘Snow Black’ in French) by Nats Editions. Emboldened by some encouraging reviews of ‘Snow Black’, we got back to work. In 2015, armed with 8 solid new songs, we headed to Slab Sound studio, probably the most famous metal studio in Brittany. The producer Gwen Kerjan managed to transcend this new musical assault beyond our wildest expectations. This new album, ‘Sea Black’, relates the second act of the story started with ‘Snow Black’. Firefrost continued his editorial journey and wrote ‘Noire Mer’ to elaborate ‘Sea Black’ story. While the album has not been released yet, the book is planned to be published in June 2017, still with Nats Editions. 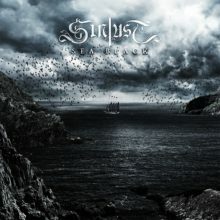 Confident with the impact of ‘Sea Black’ songs and the fantastic production of Slab Sound studio, Sinlust decided to call on Above Chaos for the artwork of ‘Sea Black’. The result managed perfectly to illustrate both the epic and dark sides of the album. Epic & Heavy Black Metal. For Fans of Immortal, Gorgoroth, Opeth.